Kyivstar, the largest mobile communications operator in Ukraine, in a year after receiving the 4G license has built LTE network covering 4,587 localities where 58% of the Ukrainian population, the company reported on Wednesday. "Now Kyivstar has more than 24,700 towers. They provide 3G connection for 81% of the population and 4G connection for 58%," the company said in a press release. 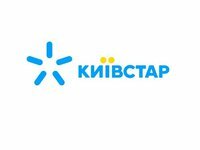 "In 2019, we intend to increase investment in the development of 4G, so that as many Ukrainians as possible get access to new communication technologies," the press service said, citing Kyivstar President Alexander Komarov without specifying other details.